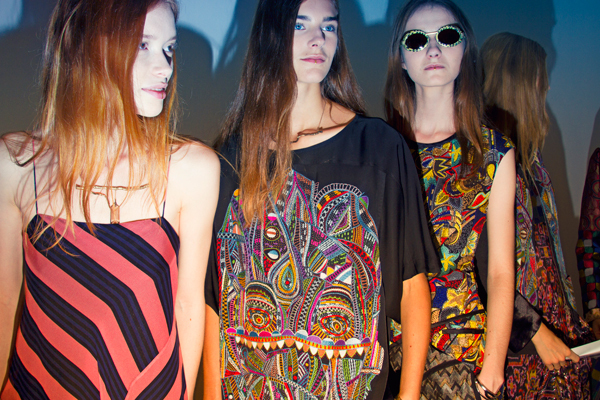 Although fashion editors and buyers are now back in their respective hometowns and the daily routines have no doubt re-established themselves, we can’t stop musing over the most memorable shows held in Paris a month ago. A good show, is much like a sensual kiss, it begins before you realise and finishes on a high. But like all good things it needs time to morph from the physical to the cerebral, and so leaving one with a tingling and lingering feeling. So here is a synopsis of the most arresting moments from Paris. The renaissance man of fashion drew inspiration from John Everett Millais' Ophelia— a Pre-Raphaelite painting that depicted Ophelia wandering through the woodlands. 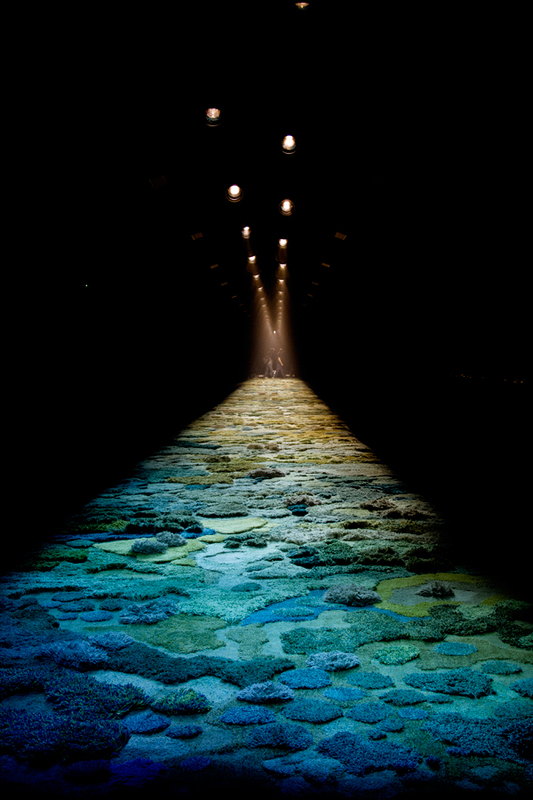 Van Noten re-created the setting by ordering a specially made carpet for the catwalk by Argentinean artist Alexandra Kehayoglou. The carpet was a beautiful three dimensional forest in endless shades of greens, so making the models clad in colourful brocades, jacquard and strips seem like giants. 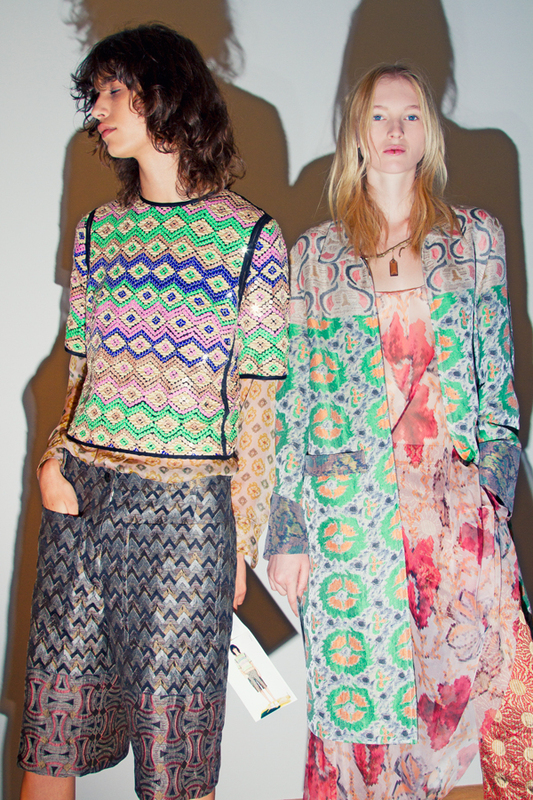 The clashes of patterns miraculously merged through layers of diaphanous shirts, tiered chiffon dresses and masculine jackets. They glided through the forestry-carpeted catwalk under softly lit golden light with birds tweeting singing in at the background. In the end, they sat down, lay down and lounged around. The poetic and best photo-op of the week. 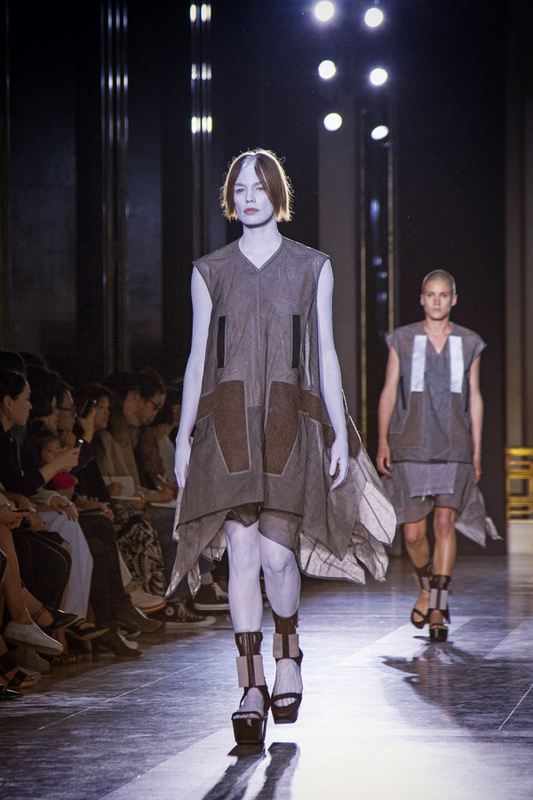 Owens drifted away from washed leather and chartered into totally unexpected territory- tulle. He wanted to experiment using tulle with a modern design approach, so he looked to Brutalist architect Marcel Breuer for ideas. Through crimping, pressing, folding, the pastel (what? Yes, another new thing for him) tulle became architectural forms in shades of pink, baby blue, melon green and soft gold. The classical soundtrack- piano concerto by Mid-century Polish composer - added another dimension to the modern yet other-worldly collection. 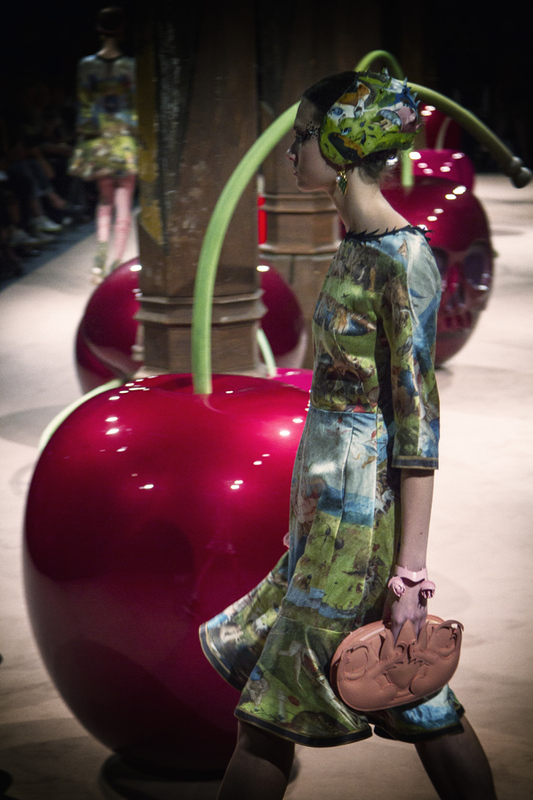 Giant cherries were dotted along the catwalk with one which was singled out and carved with the face of a skull, perhaps a suggesting of an eerily dark fairy tale? Well, almost. 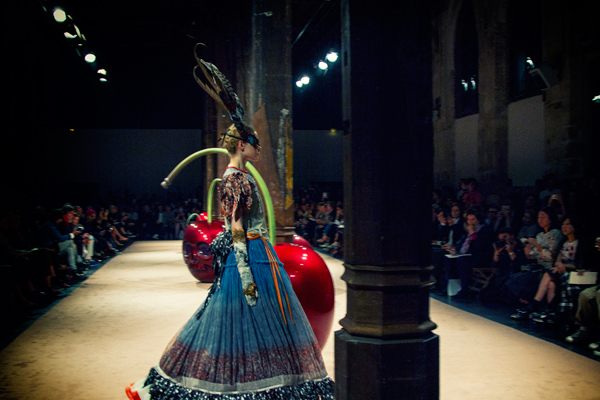 Jun Takahashi took a nod to history through the eyes of an imaginative, fairy tale loving child. Models were transformed into debutantes in pastel crinolines, milkmaids were in white and green and ballerinas in tutu. 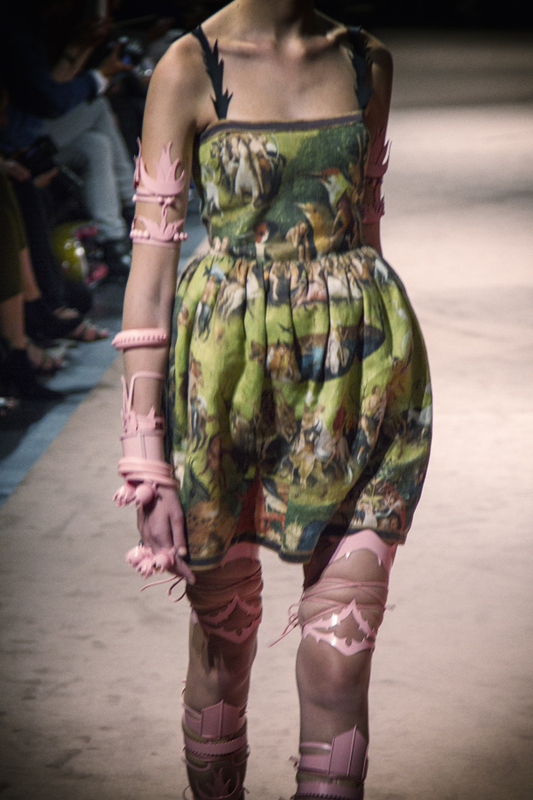 Even when they changed again into prim and feminine flouncy dresses, they were still covered in prints derived from the medieval painting, The Garden of Earthly Delights. For the finale, the medieval beauties were dressed in black with matching wings in all sorts of shapes and forms sprouting from their shoulders, the Black Swan soundtrack was more than suiting.